Sitting on the ground, crammed between a dingy radiator and a trash receptacle, I fished the familiar brown paper bag out of my backpack. It was 5:06 in the evening and time to partake of my own personal ritual. The paper bag crunched under the pressure of my hands as I opened it, and with a blank stare, I silently greeted it: two dehydrated beef patties; two sickly green pickle slices; a few tiny white shreds of an onion; and a conservative dollop of ketchup, all miserably slapped together on to an even more depressing brown bun. This was my daily McDouble that I knew my parents and grandparents wouldn’t be proud of. They had their own special recipes from Nigeria: fried snails, suya, and porridge yams—all of which had been passed down within the family for generations. However, these were foods that couldn’t endure when placed in the care of a twenty-first century American child, such as myself. Although I was raised in America, I can understand that food is cardinal to the Nigerian culture. Food does not only serve the purpose of sustenance, but also as a form of protest. Ever since the Biafran War in Nigeria, those from the southern half of the country where my family originated from, have lived loosely united under the federal Nigerian government. The people showed their disdain for the state of the country through the food passed down in their families for many generations. To this day, food is still considered one of the customary forms of pride and protest there. This mindset traveled with my parents from Owerri, Nigeria to our dinner table in Queens, New York. I began to take note of foods that were less “Nigerian” than my family may have liked. These foods included pizza, french fries, and burgers—which became mundane and standard in my life, while my parents saw it as alien. It isn’t unusual for my mother to wrinkle her nose and shake her head when she catches me snacking on a bag of Sour Cream and Onion Utz or popping a Starburst into my mouth. My father is much more direct, actively questioning why I would rather eat “sugary junk” when I came home with leftovers from Panera Bread. Neither of them was particularly comfortable when I experimented with cooking rice pudding, or used the beef in the house to create a beef-biryani fusion. My parents meant well when they attempted to dissuade me from the more fast-food culture of the United States, although in hindsight, it further alienated me from my Nigerian culture. Rather than being stuck between two worlds that I could not fully embrace, I turned towards the things that helped me integrate into the American culture. onions, and ketchup, a bread bun. 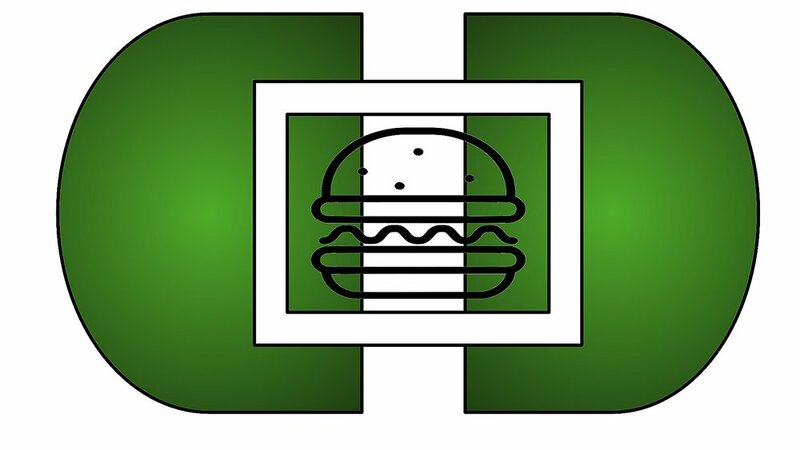 The McDouble, in all of its dehydrated and miserable glory, is simple and cheap—traits that would not describe Nigerian cuisine. Eating this small burger has become a blatant reminder of how distant I have grown from my home country. It is a part of my life, as pounded yams are to my family. For that reason, as much as I love to hate it, it is something I cannot bring myself to give up. Although my entire family is Nigerian, their culture is declining through me and I know that it is only a matter of time until the Nigerian side of me fizzles out entirely. Despite this, I cannot view Nigerian food with any kind of malice. Although, I admire the exotic blend of unique spices and ingredients used in each recipe and the history behind each dish that spans back generations. Unfortunately, I cannot connect with it in the same way my parents and grandparents have in the past. I have my own cultural identity that is shaped by my life in the United States, which is lived through the McDouble.